Maybelline baby lips has new variants to suit Indian skin tones. 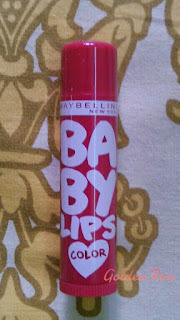 Maybelline Baby Lips Spiced Up is launched in three flavors Spicy Cinnamon, Berry Sherbet, and Tropical Punch. - Flavors especially created to suit Indian preferences. I was not very happy with the previous Baby lips lip balms. So earlier I was reluctant to use them. But I recently bought it and am in love with the Spiced up variants. I will be trying the other two variants soon. First let's see the in and out things of Tropical Punch. - Doesn't stay longer than 3 hours and you need to reapply it. I used it before heading out in the evening and applied 2 coats. Initially my lips felt supple and moisturized with a little tint. But as time passed by the moisture just weared off and after 3 hours I had to reapply it. Reapplying is not a problem as it comes in travel friendly, tiny package. 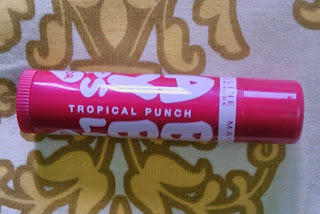 Why I liked the Spiced up variants is you can give lipstick a break and use tinted lip balms. I did like the tint which is not shimmery at the same time sufficiently tinted. For a change to give lipstick a break it's highly recommended. But if you are looking for intensive moisturization then this surely is not the product. Have you used this product? Do you like any other tinted lip balms?! Tell me in comments section below.